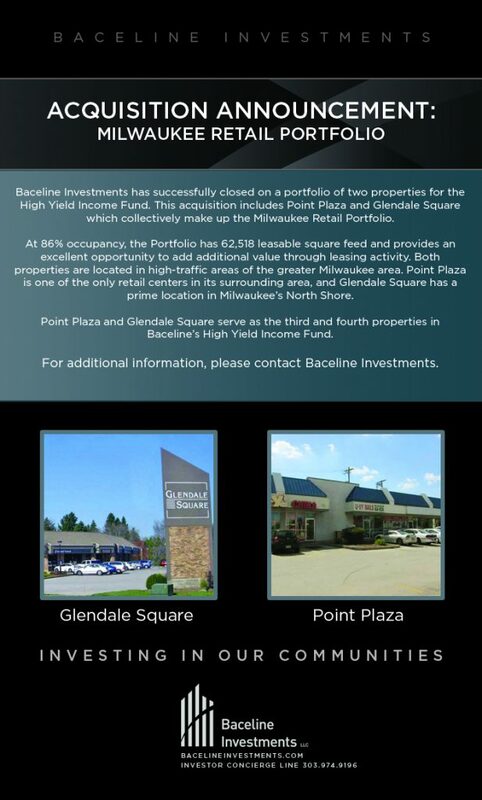 Baceline has once again made headlines with the news of its latest acquisitions: Glendale Square and Point Plaza (collectively the Milwaukee Portfolio”). These properties are the latest in the firm’s newest fund, the High Yield Income Fund. Click below to read the news stories!